Made from warm micro fleece, they will keep your feet cozy and also provide a snug fit in your boots. 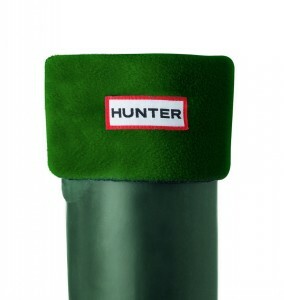 Not only a practical solution but a great boot accessory or gift for those with Hunter boots. Available in a myriad of vivid colours, they give the wearer the opportunity to personalise their boots and update their look every season. The cuff folds over the welly, displaying the Hunter label centre front mimicking our Original boot.